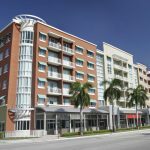 Code compliance is a hot topic for building owners and developers in Pinellas and Hillsborough Counties. That’s because many building owners have already been visited by code enforcement officers who are tasked with reviewing and evaluating test documentation and radio coverage compliance since the counties adopted the fire alarm code: NFPA72-2013, National Fire Alarm and Signaling Code. 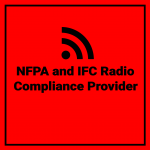 All commercial, multi-unit residential, governmental, and educational occupancies must have reliable in-building public safety radio communications coverage to meet the requirements of NFPA72-2013. When it comes to being NFPA72-2013 compliant, it’s important to recognize why these codes exist in the first place. 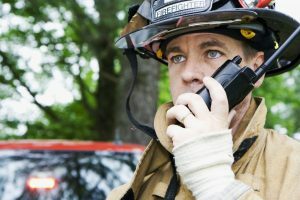 Many of these requirements have been implemented because they have a direct impact on a fire department’s response and were implemented for fire prevention and protection. These codes are not to make life more complicated, rather they exist to increase public safety, which is a really good thing. 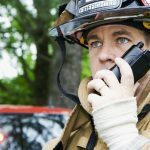 Two-way radio communications enhancement systems help ensure the safety of building occupants and first responders. Special bi-directional amplifiers (BDAs) and a network of strategically located indoor antennas provide radio system coverage throughout the interior of a building. The BDA and network of antennas is known collectively as a Distributed Antenna System (DAS). 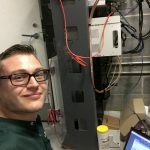 DAS systems must be designed, installed, maintained, and repaired by qualified personnel to ensure that they meet the coverage reliability requirements of NFPA72-2013 and do not cause unintended harmful interference to the radio systems or other users of the RF spectrum licensed by the Federal Communications Commission (FCC). The FCC requires that DAS systems be either operated by the licensee of the public safety radio system, or explicitly authorized by the licensee. Additionally, the BDA/DAS system owners must enter the DAS into a nationwide registry maintained by the FCC, so the appropriate parties can be contacted should the DAS cause interference to radio systems operated by other licensees. It’s easy to understand why code compliance can seem overwhelming for a building owner or developer. That’s why Mann Wireless, with an office in Largo, FL, is relied on to provide enhanced radio system integrations and installations. We make it our business to understand Pinellas and Hillsborough County codes. Owners and developers benefit from our 20 years of experience in deploying in-building RF radio coverage solutions for public safety systems. For owners or developers planning new occupancies or modifications to existing occupancies, Mann Wireless is your local source to turn to for public safety communication systems. As a qualified RF vendor, we have significant experience with applicable Federal, State and local codes and requirements, including the Florida Building Code, and applicable codes in use by the County and/or Authority Having Jurisdiction (AHJ). We offer turn-key, customized solutions. It’s been our experience that no two buildings are the same. Each building has its own unique requirements and throughout our years in business, there is little we haven’t seen. We provide expert guidance to building owners and developers, from system planning and design, to installation and testing. We ensure the installed system is in compliance, provide annual preventive maintenance, and assist with annual testing if needed. If the code enforcement officer comes knocking, rest assured that everything will be in compliance. If you have questions regarding Two-Way Radio Communication Enhancement System requirements, contact Mann Wireless today. Planning for your wireless infrastructure or wanting to improve your in-building wireless or to request a quote, please contact us. NFPA 72-2016 now states that the in-building emergency radio communication systems shall be inspected and tested in accordance with the requirements of NFPA 1221: Standard for the Installation, Maintenance, and Use of Emergency Services Communications Systems. Click link for more details. Mann Wireless offers Turn-Key NFPA/IFC Compliant Systems and tests and inspections of your existing communication system. Mann Wireless will make sure your building meets code requirements and that you are prepared for any emergency. For more information or to request a quote, please contact us. Mann Wireless provides RF testing and documentation to meet Local and International Fire Code requirements NFPA 72 and SECTION 510 Emergency Responder Radio Coverage for new and existing buildings. We work with Building Owners to assess RF signal levels, approve and test First Responder, Fire Department, Police Department and EMT RF radio coverage including on an annual basis or as required to meet the Jurisdiction having Authority (AHJ). We also test all major wireless carrier’s RF coverage including AT&T, Sprint, T-Mobile and Verizon. We provide an easy to understand comprehensive RF report and documentation upon testing completion. Mann Wireless will make sure your building meets code requirements and that you are prepared for any emergency. For more information or to request a quote, please contact us. Mann Wireless will keep your network performing to its maximum capacity with quick identification of potential issues avoiding costly fixes and network downtime.